So, I’m racing this weekend. Yeah, that came out of nowhere! This weekend is the Gasparilla Distance Classic race weekend- yet another pirate-themed event in Tampa, but this one’s for the runners! On Saturday, there’s a 5K and a 15K. On Sunday, there’s a half marathon and an 8K. Last year, I ran the half marathon as a training run for my marathon. This year, I didn’t think I could get myself in shape for a half marathon in time, so instead I signed up for the 8K. I’m not sure if I’ve ever raced an 8K, but I figured it would be a good little fun run that wouldn’t be as crowded as the 5K, which draws a HUGE crowd. I don’t have any time goals for the race and I’ll be running on tired legs, since I’ve got plans for a long bike ride on Saturday. Speaking of bike rides, I’ve been trying to get back into cycling shape, since triathlon season is right around the corner! I actually have a race next month! 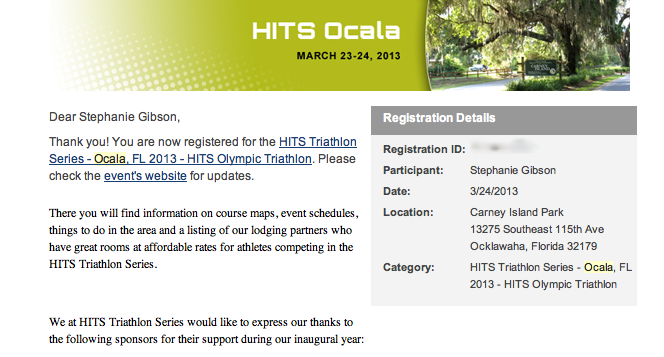 On March 24th, I’ll be racing in the Olympic Distance race at HITS Ocala. Several of my XP teammates raced in the HITS series last year and had great things to say about the race, so I registered for this year’s race, early enough to get a stinkin cheap entry fee-$50!! They were running a special on entries, so I jumped on that one! At this point, I’ve only registered for one other race this season, the REV3 Half Ironman in Venice Beach, FL on November 10th. Yup, that’s right. I was supposed to do this race last year, but I deferred because of my foot injury. My foot’s feeling TONS better, so I’m planning on kicking some booty at my first HIM. There’s a lot of time between March and November, so I’m sure I’ll fill my calendar with other races. Here’s a few I’m thinking about, but haven’t yet registered. Child of the Sun Urban Triathlon: April 6, 2013, Lakeland FL. This is a sprint triathlon, held in downtown Lakeland. I’ve never done it before, but I’ve heard it’s fast and fun. Hurricane Man Swim: May 4, 2013, St. Petersburg, FL. As I mentioned before, I’ve got the urge to race in Open Water. The St. Pete Master’s team is putting on a 2.4 mile OWS, and I’ve very close to registering for it! Apparently the bike leg has to be at least 33 miles, since that’s the distance to get in and out of the Space Center. I’m really interested in this race, but it’s a little pricey. Crystal River Triathlon Series: May 25, July 6, August 31, 2013, Crystal River, FL. This is a fun local sprint series not too far from Tampa. I did it last year, and it was my first Florida triathlon. I enjoyed the race, but I remember it being really hot! Atlantic City International Triathlon: September 15, 2013, Atlantic City NJ. I competed in this race in it’s inaugural year and loved it. A race in my hometown? Heck yes! At the time, I was living in DC, so it was pretty easy to make the 3.5 hour drive up to race. Now that I’m in Florida, it takes a bit more planning (and $$) to make this race happen. I’m very much on the fence about this race, but I would love to go back for it. Which ones should I register for? 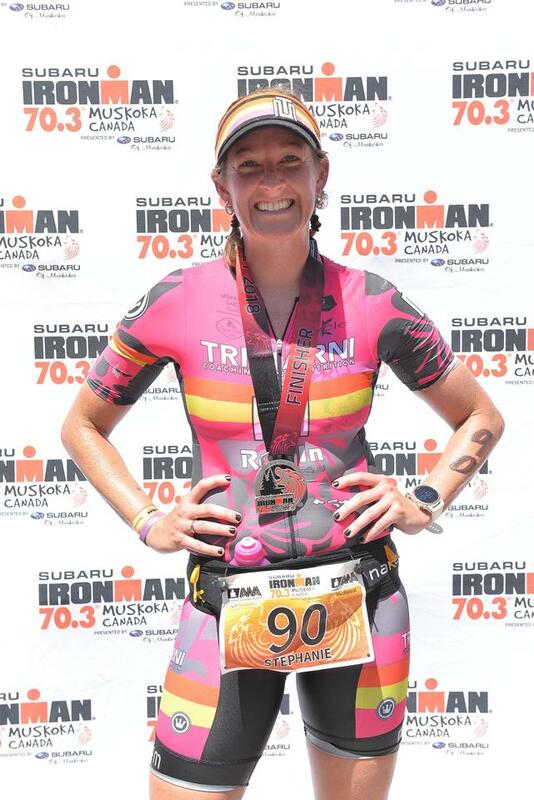 What’s your favorite triathlon? That’s a lot of races!! Any of your races coming up by Orlando way? I’d love to cheer you on in one of these (and SEE you!). As of now I haven’t signed up for any in Orlando, but last year I did a small one there in Moss Park. If I sign up for one, I’ll be sure to let you know!